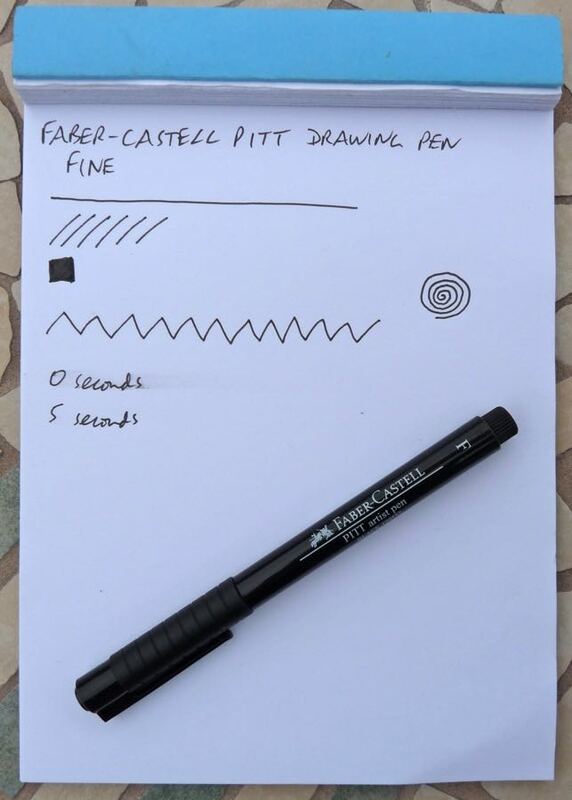 Faber-Castell Pitt Drawing Pen Review – Pens! Paper! Pencils! 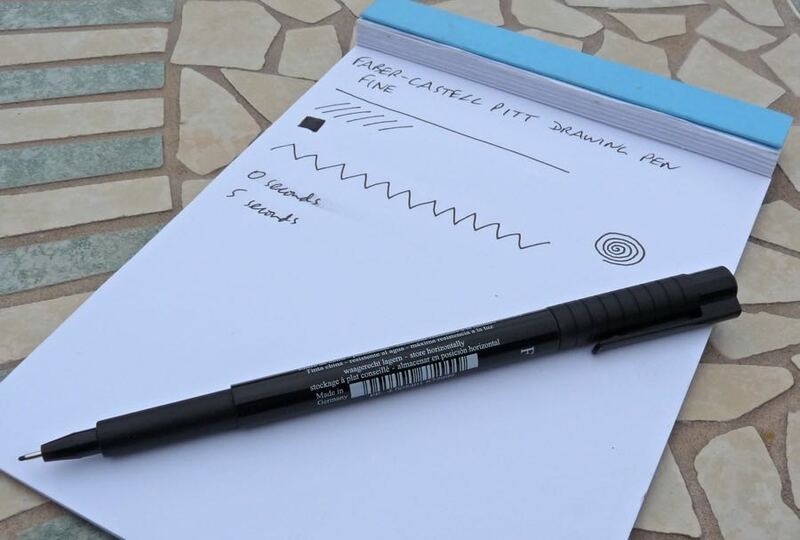 The Faber-Castell Pitt drawing pen is one of the first drawing pens I ever tried. They’re easily found in high street shops here in England and so I suspect they’re the first experience of drawing pens for many people here. There are only four tip sizes available (plus a brush tip version). Although this seems like a problem, in reality four is probably enough. Actually, almost enough: there ought to be a broad tip too. However, if the tip clicks as you move it around on the paper that’s no good. The ink also takes a little while to dry. Nothing too drastic but it increases the danger of smearing. The tip was a little clicky and not to my taste. 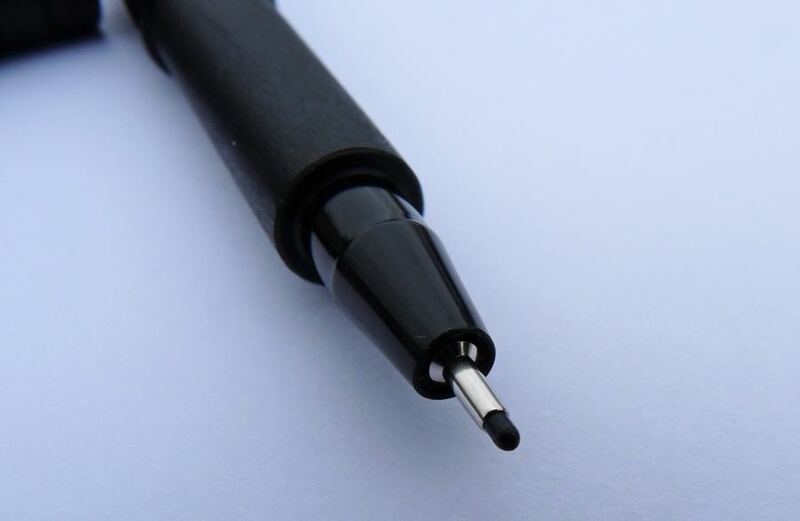 The tips of drawing pens all vary in subtle ways and different people will get on with different pens. 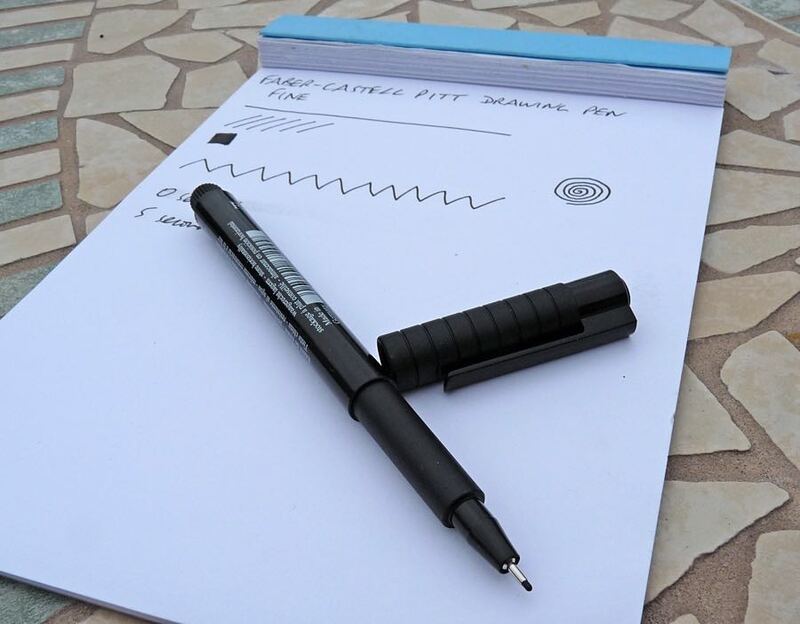 The ink is good and black and the flow is quite good as long as you don’t push the pen too hard: then, it can start to dry a little. The cap pushes on to post and does so securely. The plastic clip is going to break or bend out of shape if you don’t treat it gently. The grip section is lightly textured so it’s not too slippery. The step up to the main part of the barrel is high enough up so it doesn’t get in the way of your fingers. 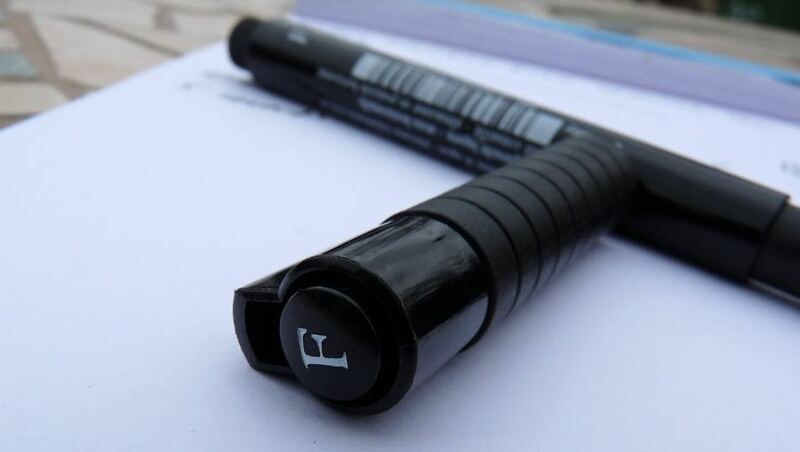 I think all that white writing on the black barrel looks horrible. The Pitt isn’t a bad drawing pen. It does the essentials well enough but nothing about it is great. Sadly, it’s typical of what you find in the high street: just about good enough to sell . . . but no better.